It's difficult this time of year to get motivated to exercise. Just a month ago I was hiking. Now it's cold, and snowy. I love DVDs that the whole family, or just I can work out to. 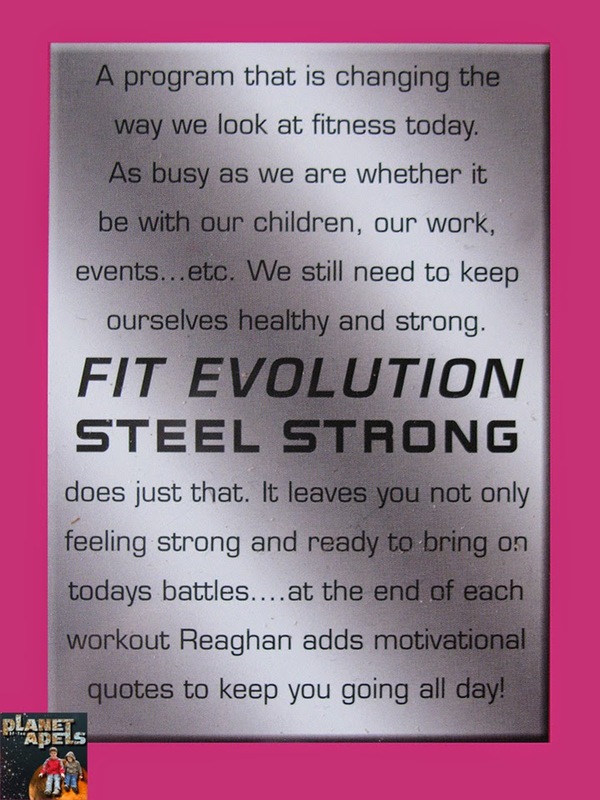 Fit Evolution Steel Strong is a perfect DVD to get moving to. The actor and director is Reaghan Hayden. I love that this DVD can be done anywhere, and anytime. There is no equipment needed. There is no excuses to not exercise. It's a 6 week program. I haven't done them all. There are 12 workouts all less than 15 minutes. Since I'm a mom I don't always have tons of time to workout. This is ideal for busy schedules. I've had a chance to work out to Fit Evolution Strong a handful of times. I look nothing like Reaghan Hayden. I'm hoping to get more fit by keeping up the DVD. It's hard getting good photos this time of year. It's dark when I leave in the morning, and dark when I get home. This weekend snowed, so it was dark all weekend to. 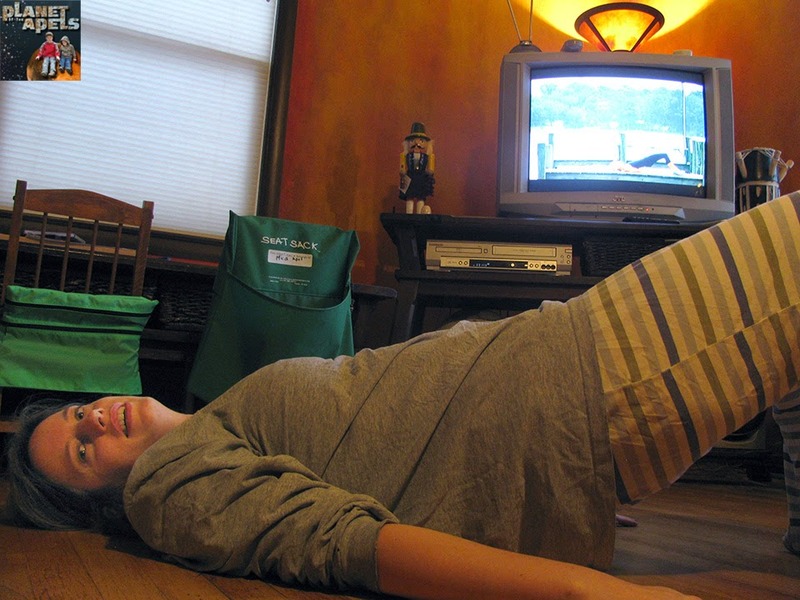 There's jumping jacks, crunches, squats, and more exercises to keep you going. The boys were doing exercises to. Mica tells Isaak, "No you're not doing it right." I'm sure I'll get corrected at times to. I love that anyone can workout to this DVD. It's for beginners to more advanced fit. There is motivational quotes to keep you moving. What are you waiting for get fit! I have been thinking of getting some dvd's to work out to at home. They cut one of my classes at the gym, so I stopped working out on Tuesday. I need something to get me motivated while at home and this sounds great! I have quite a bit of trouble getting motivated to workout at home, but this sounds like an awesome DVD that really gets results. Now that we live in the cold I like to workout at home instead of driving to a gym. This sounds like a good one to get going!